Adobe’s entire Lightroom CC ecosystem, which includes Mac, Windows, iOS, Android, and the web-based tools, has just received a significant update that brings a raft of new tools and features. These are the features that will likely catch the attention of most photographers. Lightroom CC on desktop now has Tone Curve options, which allow for advanced control over tonality, contrast and colour balance in images. Users can employ the Parametric Curve and Point Curve modes to tune tonality and contrast of images, while the Red, Green, and Blue modes allow for adjustment of colour balance. Split toning, meanwhile, allows users to give their images a stylised look with colour tints in the shadows or highlights, as well as simulate distinctive black-and-white looks and more. These changes do much to bring Lightroom CC up to the same level as Lightroom Classic, which may mean we see more photographers hopping over to the new system. Adobe has rolled out its machine-learning Sensei tool to the Lightroom CC auto modes. What this means in a practical sense is that the tool will analyse users’ photos and compare them to thousands of other images (including professionally edited shots) in real time, which in turn will allow Lightroom to grow more adept at predicting the optimum processing settings for a particular image. This particular update is getting rolled out across the entire ecosystem: Lightroom CC, Lightroom CC for iOS, Lightroom CC for Android, Lightroom CC on the web, Lightroom Classic and Adobe Camera Raw (ACR). Adobe has also added a few other bells and whistles to its Lightroom software. Lightroom CC now allows users to change the capture time of their images – useful if you forgot to change your camera’s internal clock when you changed time zone. Furthermore, the option to view in full screen has also been added. 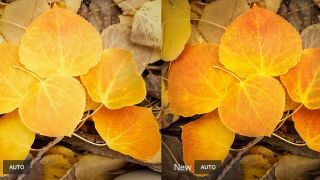 The Android and iOS versions of Lightroom CC also get a few new additions. Android users mostly get minor updates and and bug fixes, although iOS users will see a nifty new watermarking feature, which allows users to automatically add custom watermarks on export. Support for a range of new cameras and lenses has also been added. For more information on all the changes, head over to Adobe’s blog.